We'll help make it happen. You want to make the most of your time on the water. You’re not looking to get pampered, but you’d like a hand with planning and logistics, maybe improving your skills. You’d like to step a little beyond your comfort zone – safely. We’ve been there; we can help. We’ve guided first-time paddlers and those with decades of experience. 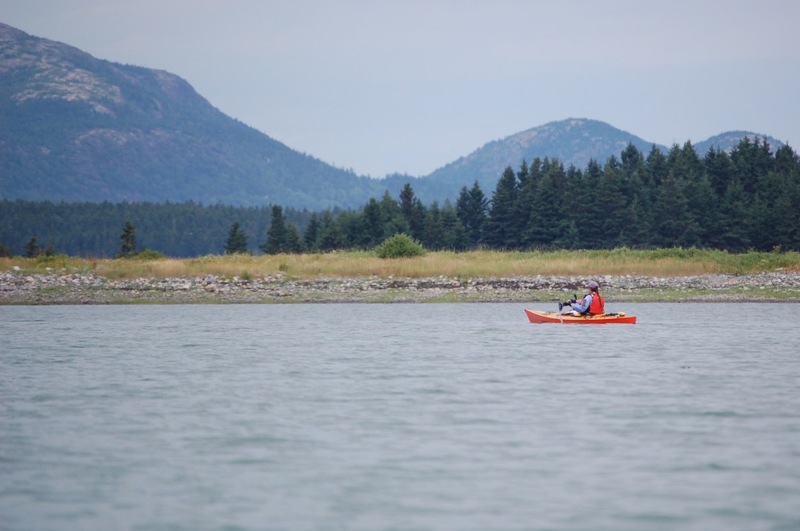 At Upwest & Downeast, we take paddlers in their own sea kayaks and help them realize their potential. Every trip is a private journey, custom-tailored for the client. Whether you want a full-day paddle among the islands or a week-long trek along the coast, we can provide help with planning and logistics, as well as guidance and instruction. Most of all, we’re there to ensure that each journey is a safe, enjoyable experience. WE DON’T provide boats, equipment or food, and we don’t lead partial-day tours. (Trips leaving from Old Quarry Ocean Adventures may rent kayaks at a special rate). WE DO provide guidance and instruction just about anywhere you’d like along the Maine coast, as well as a few farther-flung destinations. We’ll help you plan and prepare, and we’ll meet you at the launch. We have been guiding and teaching sea kayaking since 2010, most often around Stonington, Maine, where we also had an art gallery from 2003 to 2014. Over the last few years we’ve returned to Stonington and Deer Isle in between long-term forays to Georgia and Newfoundland, as well as a summer-long, 625-mile paddle along the Maine coast. 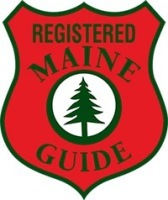 We’re both registered Maine sea kayak guides trained in Wilderness First Aid, and instructors certified by the American Canoe Association. 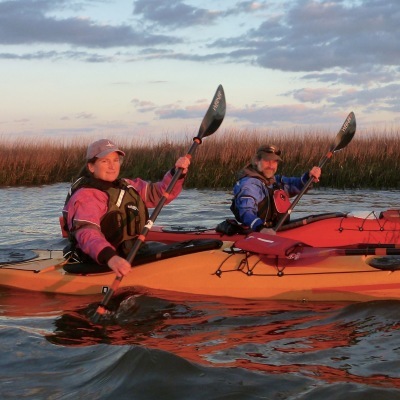 Rebecca is an ACA Level 3 Coastal Kayaking instructor, as well a Level 1 canoeing instructor. Michael is a Level 4 Open Water Coastal Kayaking instructor. Rebecca is an artist, specializing in painting and printmaking, and draws great inspiration from the places she paddles. 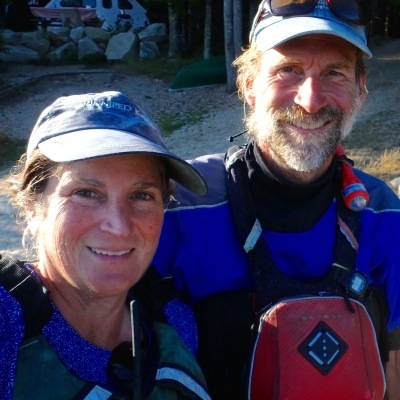 Michael is the author of AMC’s Best Sea Kayaking in New England as well as articles about paddling in Sea Kayaker, Ocean Paddler, Adventure Kayak, Canoe & Kayak, AMC Outdoors magazines, with an upcoming piece in Small Boats Monthly. Together, we are writing and illustrating an account of our 2017 Maine coast excursion, which we hope to publish ourselves in spring of 2019. We paddle because we love sea kayaking and the places it takes us, both physically and mentally. We’re keenly aware of the risk that comes with turning one’s passion into a job, so we try to strike a balance between work and play, and when we can, to combine it with our artistic pursuits. Taking time to write or draw out in these wild places - or to simply float for a while in a hammock - helps us spend quiet, quality time there, to feel fully immersed and bring something of that experience with us to our usual lives. Coming soon: Rebecca’s art website. 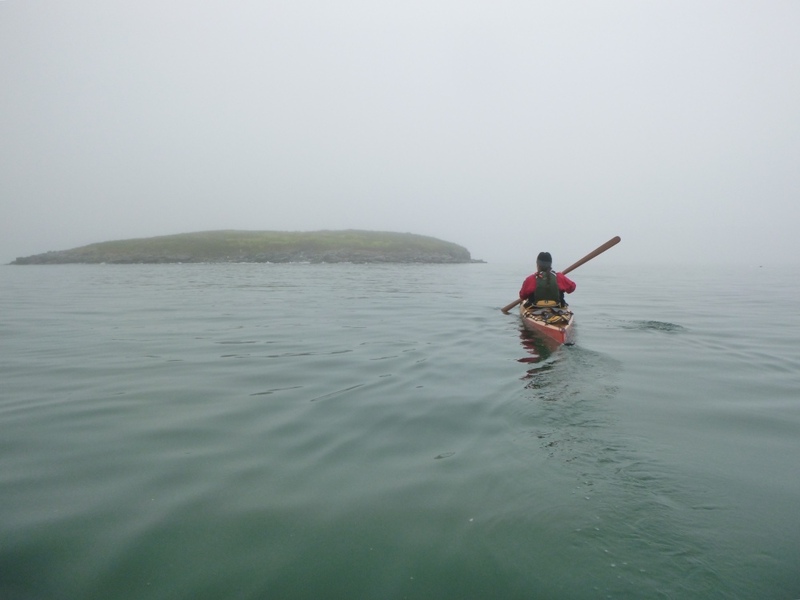 Michael’s blog, Sea Kayak Stonington.